Serenity: Femme Fatale Nail Lacquer - Swatches & Review! Hi Guys! 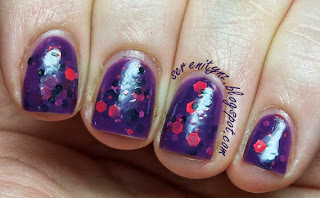 I was lucky enough to receive a polish press pack from Femme Fatale Cosmetics, so I have some swatches to share with you . 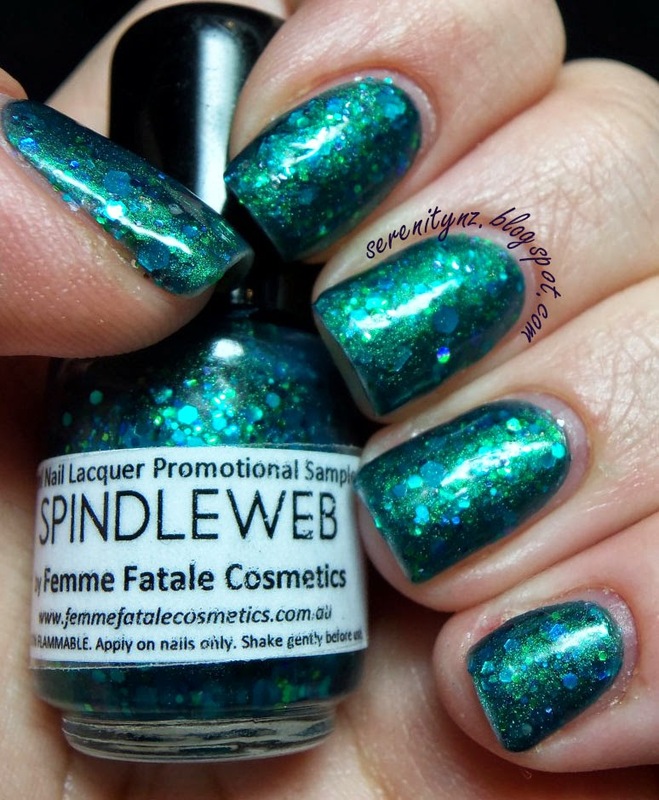 I received Noble Garden, The Other Side of the World, Spindleweb and Fatal Attraction, and I already had swatches of Abracadaver so I've included those too. All swatches are shown at 3 coats with no undies, 1 coat of glitter food, and 1 coat of Jordana quick shine topcoat. I borrowed the descriptions from the Femme Fatale site - they describe them better than I could! 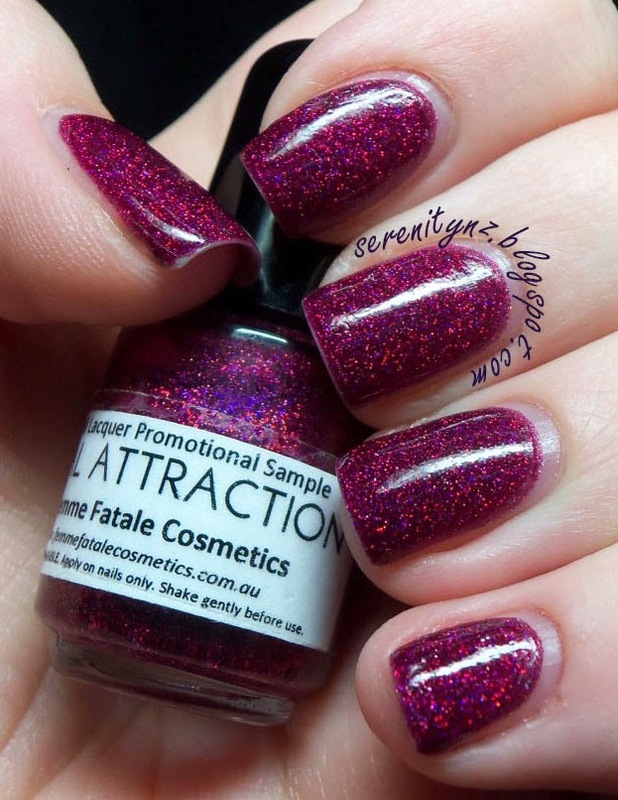 Sophie from Femme Fatale comes up with the best names for her products! I really like the way this one looks, but it did take some work to get there, the glitter is very dense so it can be a bit diffucult to get the base color even and the glitter positioned properly. Definitely worth it though! 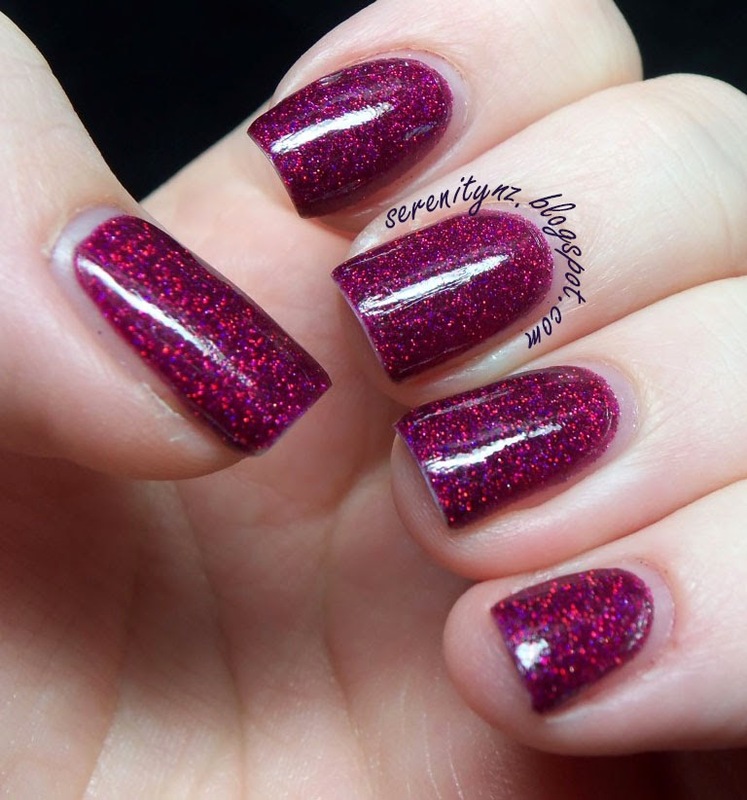 Femme Fatale suggests layering this one over a base of a similar color and I think that would work really well. I couldn't find a suitable polish to wear this over when I went to try it so I just decided to see how it would go on its own. It built to opacity in 3 coats and I love how it looks. This shade was originally part of the Easter Trio it was designed to resemble brightly colored eggs hiding among the greenery. That is definitely what it makes me think of! 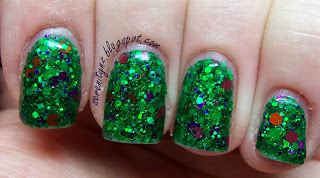 I admire the way Sophie can take an idea like that and turn it into polish form. 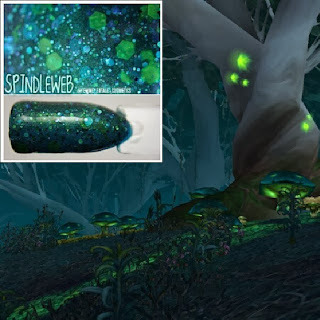 If you love green you need this one. 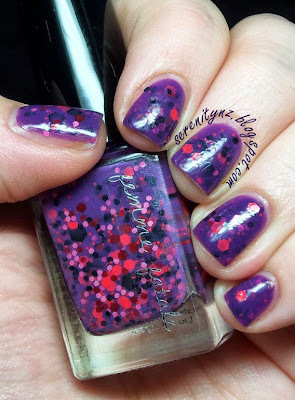 This one built up to opacity easily in 3 coats. The polish is slightly thick due to the sheer amount of glitter packed into it, but I'd much prefer that than having to fish for glitter! It took a bit of patience to apply evenly but I'm happy with the results. I really like the orange glitters in this one - they make it really unique. 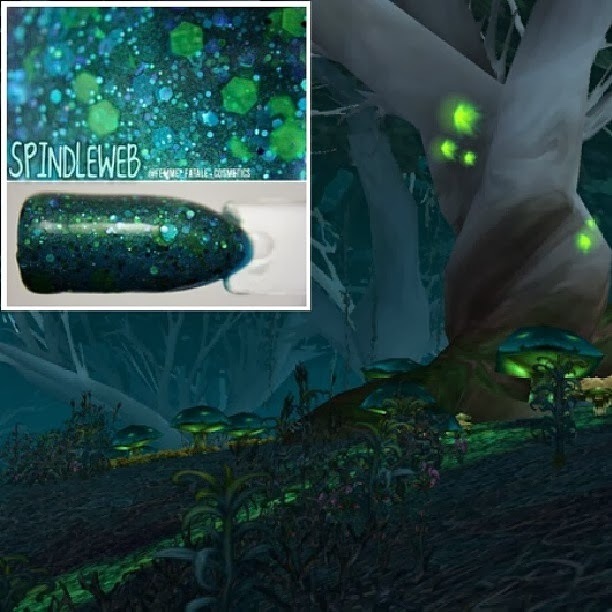 'A sheer deep jewel toned blue with strong green shimmers, suitable for layering over other shades rather than wearing alone, and filled with scatterings of blue, green and iridescence in various sizes'. I actually really liked the look of this one alone - it had great depth, but I can see it being just as pretty layered over another shade. 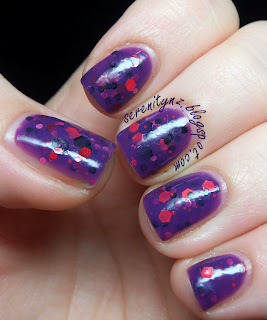 This one is a favourite of mine and again Sophie took her inspiration and turned it into polish form. HOW DOES SHE DO THIS SO WELL? :P Having experienced trying to make nail polish myself, I can tell you that this is a talent! Oooooo.... prettttty... 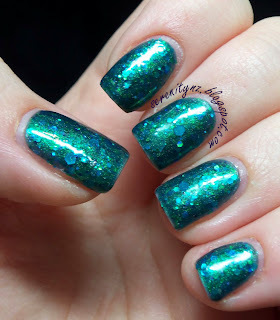 I love everything about this polish, it was easy to apply, a gorgeous color and the holographic sparkle looks amazing. This was part of the Valentines trio. I've also previously reviewed Nightsong Grotto and Aqueous. I'm excited about all the Femme Fatale polishes I've received. 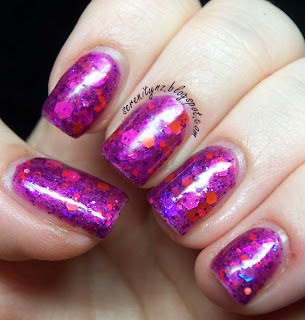 They do take some patience to apply if you want them to look their best, but I find thats the norm for any indie glitter polishes, and as I said its worth it for the glitter payoff that you get. 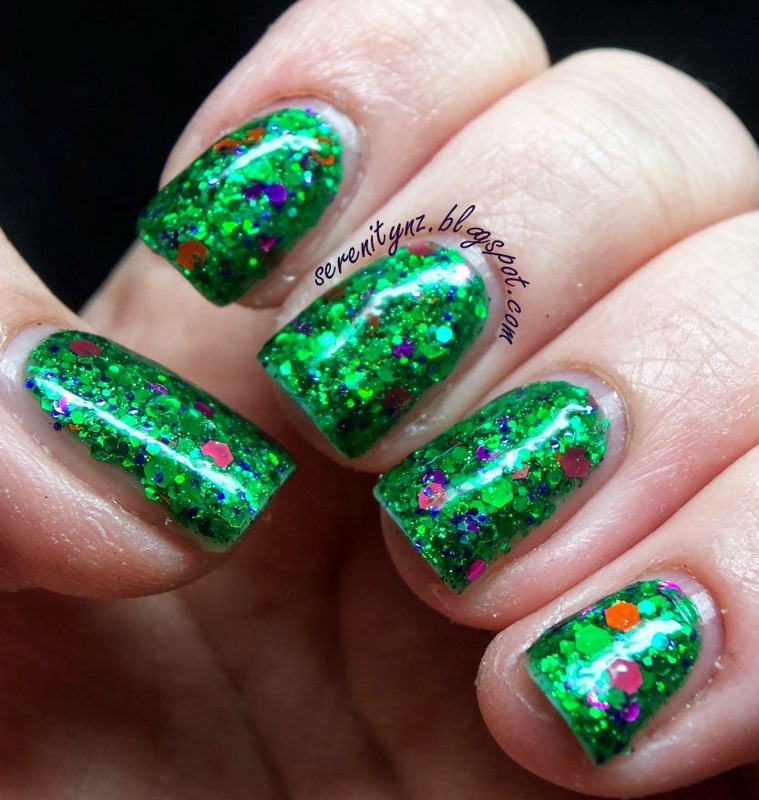 I'm so impressed by Sophie's creativity - she is consistently bringing out gorgeous polishes and has now just released her first holos as well as 12 new glitters! 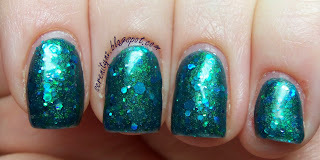 All polishes in this review (besides Abracadaver) were provided for my honest review. 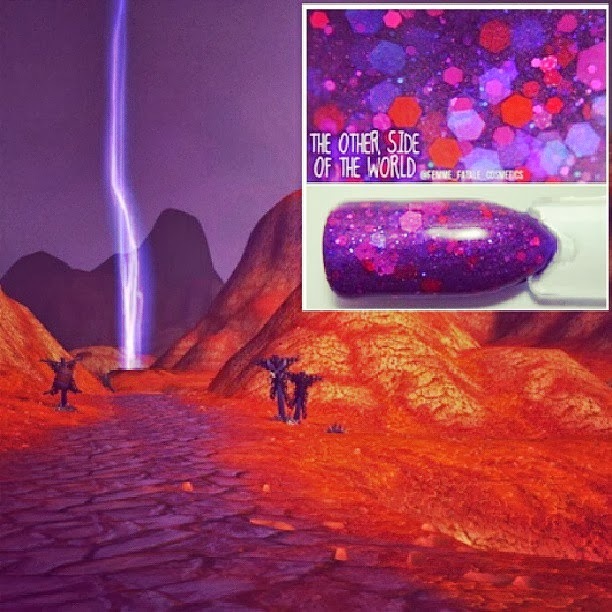 Thanks for showing these beautiful polishes. 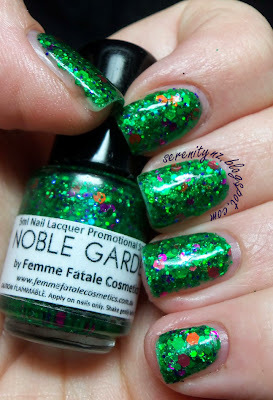 I have been wanting Noble Garden for a long time but have never seen it on the nail before. You have convinced me I need to order it immediately. they are just all so beautiful!! !